Whilst in La Paz, I’ve been staying in the amazing ‘Casa de Ciclistas’, which definitely deserves a mention. 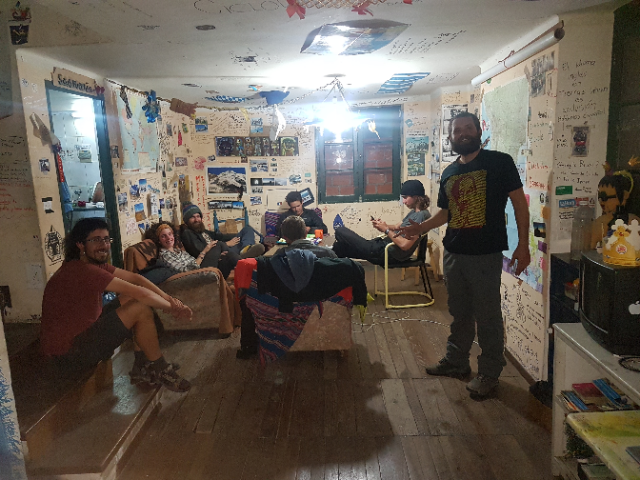 The casa is owned by a local cyclist called Cristian, who is a special quirky character, and extremely generously lets a bunch of us stay in this apartment for £2 per night. That basically just covers the gas and electricity. 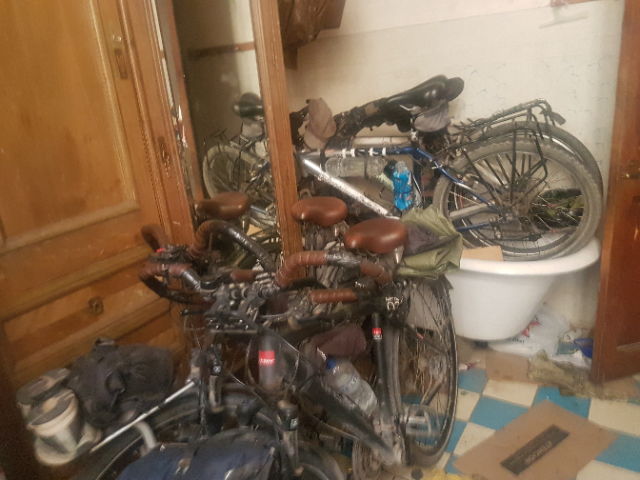 For this you get a spot on the floor, use of the kitchen, bathroom and wifi, storage for your bike and best of all, a sitting room to hang out with some great ciclista company. The walls are covered in years of fabulous cycling graffiti, route maps and words of wisdom from past guests. You never know who you might meet whilst staying there. 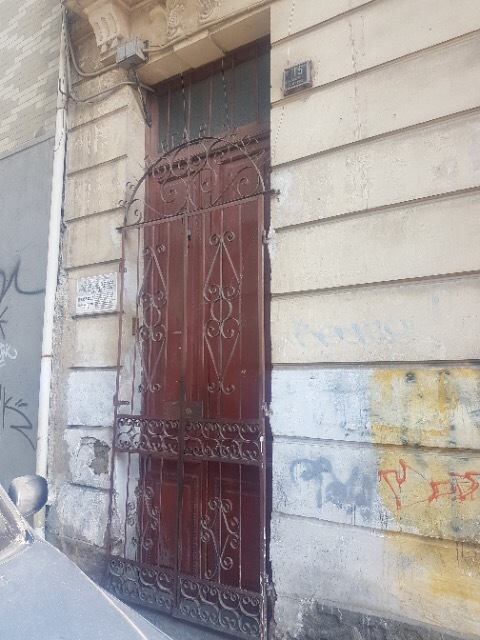 Who’d imagine such a great cycling community would be hidden behind this door?! Cristian’s workshop – available to use only after you pass his test;). 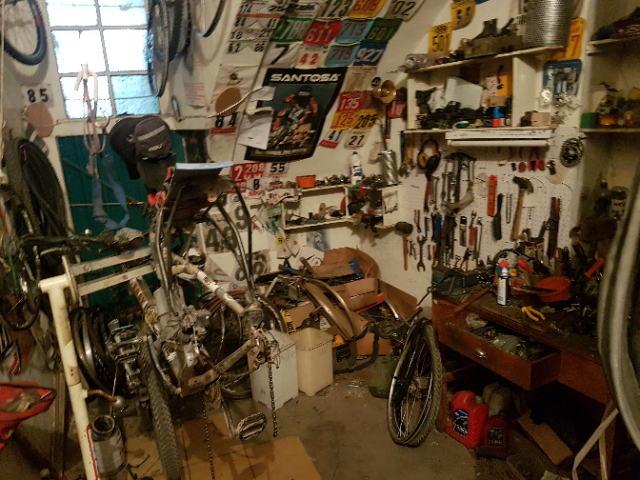 Another great thing about Cristian’s place is that in his own apartment (right next door) he has a workshop – available to use once you’ve demonstrated that you can meet the necessary level of technical skill. Ahem. So on that basis, I managed to sneak in when he wasn’t looking;). On a more serious note, it gave me a great opportunity to true my front wheel, which had started to rub when braking… mission accomplished on that front. I am eternally grateful for the time I spent volunteering with The Bike Project (to renovate bikes for refugees and asylum seekers in London) that meant I actually knew what I was doing. If you’re still reading this blog, please do check out the ‘donate’ tab above for more information…and to hand over some of your hard-earned cash;). When I arrived, there were 7 of us – a French couple from Tours touring South America on a tandem, a wonderful Basque couple – Maialen and Mikel – who were stuck in La Paz for a month whilst Mikel had root canal treatment, but otherwise have been touring the world on their bikes for years, and manage to do so on an impressive budget of less than 60 euro a month each. 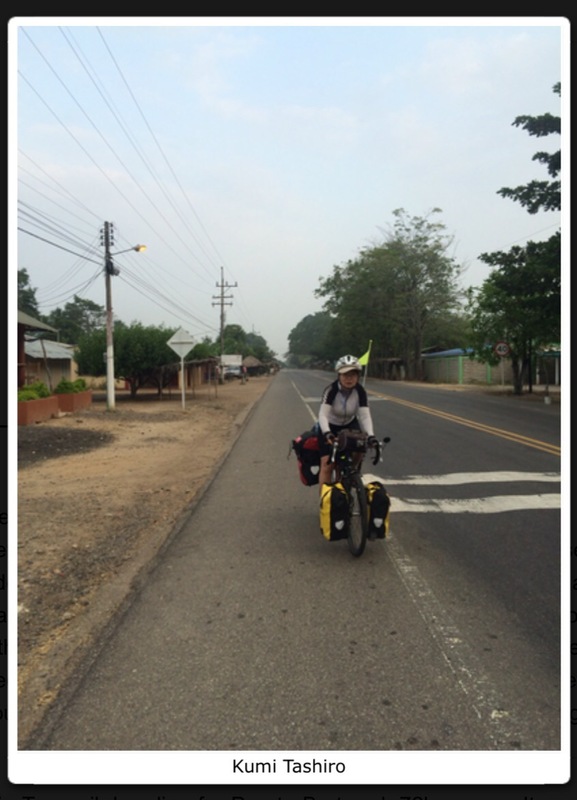 Then there was Martin, a Dutch guy who’d been cycling South America with his girlfriend, but as she’d recently secured a work placement in Cusco, he’d suddenly found himself cycling solo and wasn’t a fan! Last but not least, Honza, from the Czech Repubic, who has a wonderful way of cycle-touring, meandering round countries with his bike wherever the mood takes him. He armed me with loads of tips for the rest of my ride through Bolivia. A couple of days before I left we were joined by more cyclists – from the US, Australia, France, Germany, Brazil and Argentina. It was like INSEAD (business schoool) all over again but for cyclists:). Many were riding due south like me, but others were on their way north having ridden from places like Buenos Aires, Brazil and Patagonia. We all had valuable insights to share. After a mammoth pizza making session, and in a hotch-potch of Spanish and English, we spent the rest of the evening sharing routes and experiences from our respective journeys. This was a huge confidence builder for me in advance of setting off on my own for the first time, and to what will be some of the most remote places on this whole trip. A note for those reading this from the Central London Cycle Touring Club: One surprise in this stay was meeting Jon (Jonathan) from Australia. He’d been cycling round South America for some time and was a seasoned cycle-tourer. We got chatting one evening and through the meanderings of our conversation, it transpired that Jon had met Kumi on the road as he cycled north from Ushuaia. In fact, they had crossed paths in El Chaten, just a week before her accident. 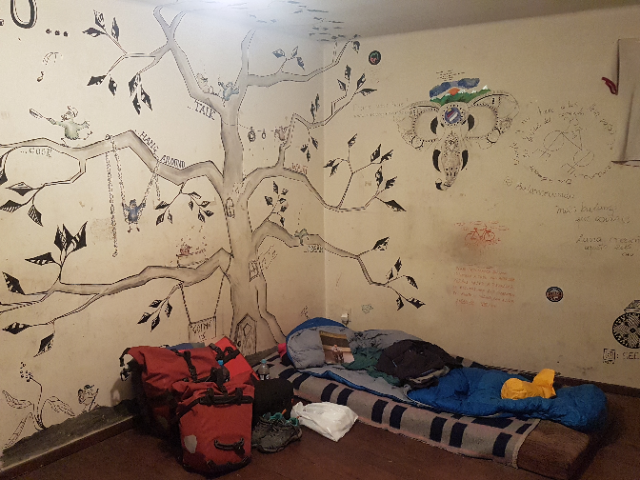 Jon spoke about how Kumi had arrived in some miserable weather with a couple of other cyclists, who they’d quickly ushered into their hostal to get warm and dry for the night. He remembered talking to this small and unassuming Japanese lady about her various cycling exploits, and how candidly she had spoken about those adventures that had perhaps been a ‘success’ or ‘failure’…but either way, how she loved touring and would keep on going regardless. Needless to say Jon was devastated to learn what had happened. Kumi is often in my thoughts as I head south, and in some strange way, it was really comforting to meet someone who had met her and who knew how happy and inspiring she was so close to the end of her journey. I hope this news comes as some comfort to you too.